Competed: 1964 – 1985. In 1981 and ’82 there was only one race he didn’t finish. In 1982 Ken was stricken with a heart disorder and was operated on in Halifax for a bypass, but that didn’t end his racing career. 1985 was Petty Raceway Sportsman Champion. Over the course of the season he won four features in his familiar #95, accumulating 532 points. He was also voted Most Popular Driver. His crew received the Canadian Tire Reliability Award as a result of their superior crew work. Stockcar racing is where he was best known. He drove Modified Class and won a lot both at Saint John and Bathurst. He says in stock car racing he was fortunate enough to be half good.. To quote the Telegraph-Journal – “PALEY: Name Means Entertainment” Apples was a man in a hurry most of his life. 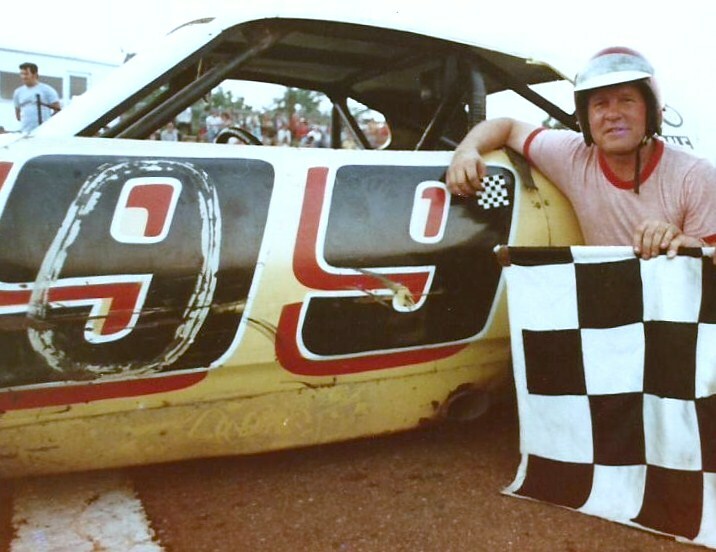 He was one of New Brunswick’s most popular stockcar drivers. Paley was a popular figure around Saint John sports back in 1970’s and ’80’s. What with Stockcars, Hockey, and Softball.